There is a growing trend to work from home—or better yet, make your temporary home anywhere in the world and work from there. The digital nomad lifestyle is quite appealing to many, and there are plenty of alluring destinations around the globe to try out. What makes a great digital nomad city? Everyone has their own unique criteria, but some common ones are: low cost of living, fast and reliable WiFi availability, co-working spaces and a nomad community, agreeable weather, good and affordable food, fun nightlife, and interesting culture. It should be no surprise when looking at these criteria that the majority of digital nomad hotspots are in Southeast Asia. The combination of cheap living, sun, and fun makes it a great region to start out on the nomad trail. South America, Europe, and Africa have trendy cities as well. It's a big world to explore. So without further ado, here are the top 12 Digital Nomad cities in 2016. Chiang Mai is probably the number one destination in the world for aspiring digital nomads to start out in. Accommodation and food are very affordable, there are cafes with free WiFi everywhere, and the city also has a number of co-working spaces such as Punspace. Chiang Mai's smaller size and the presence of a growing digital nomad community make it an easy location to transition to. The city has 700 years of history, with hundreds of colorful Buddhist temples hiding around every corner. Plenty of fresh fruit markets and an abundance of Thai vegan restaurants make it a favorite of health conscious travelers as well. While the nightlife in Chiang Mai isn't as rowdy as some other Asian cities, there is still plenty to do to keep you entertained when not working. The relaxed pace of life has many people coming back or staying longer than they first planned on. Chiang Mai makes a great base to explore the rest of the region. And options exist for freelancers who want to work in Thailand on a long-term visa with Iglu. Year-round warm weather that is generally milder than Bangkok doesn't hurt either. Where Chiang Mai is laid-back, Bangkok is full of in-your-face excitement. 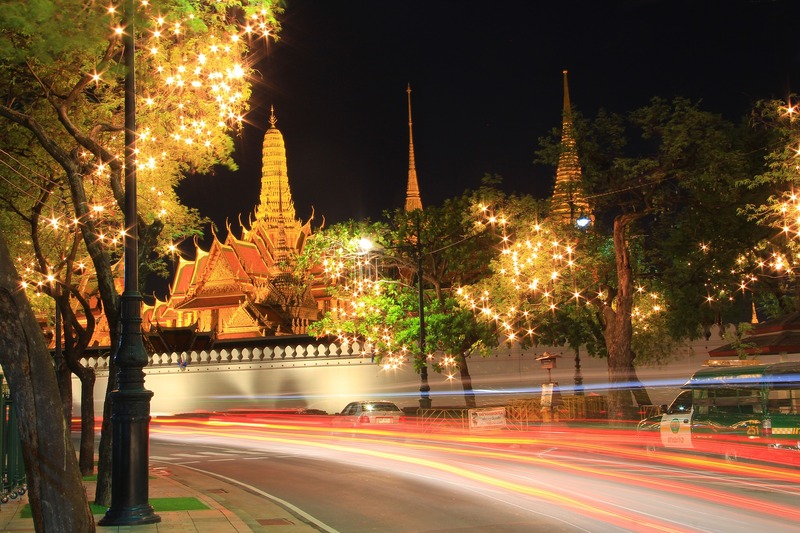 Aside from its notorious nightlife, Bangkok is also a shopper's paradise and the biggest tourist hub of Southeast Asia. As a huge metropolis, Bangkok always has something interesting going on, and the dining options are endless. There are many practical benefits to working as a nomad in Bangkok. The cost of accommodation and transportation are slightly higher than Chiang Mai, but the overall cost of living is still much less than in western nations. There are lots of co-working spaces such as a HUBBA and Launchpad, making Bangkok the home to a budding startup scene. Many people feed off the excitement of living in a city that is always abuzz with activity, and that certainly describes Bangkok well. 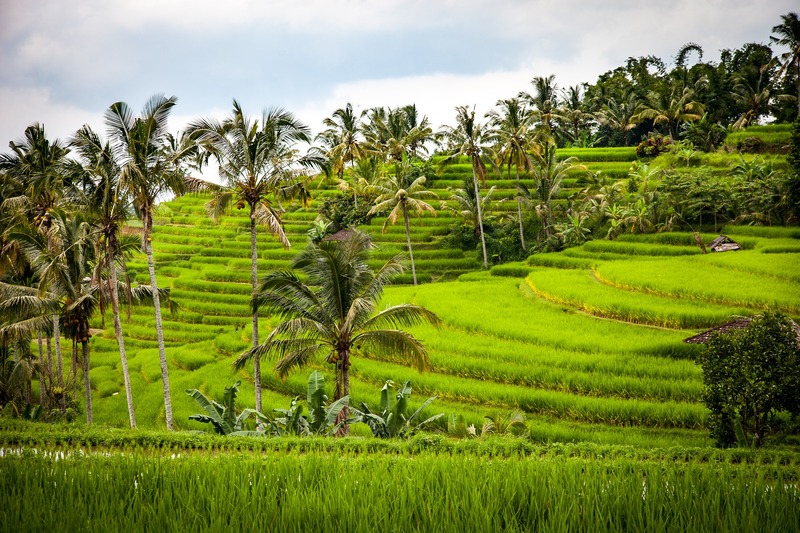 Ubud is the cultural and spiritual heart of Bali. It's a great place to recharge your battery, learn yoga, and fill up on good vibes to inspire your work. The only real downside to working remotely from this tropical paradise is that the Internet is not known for being too fast. Luckily, if speed is important to you, there are some great co-working spaces such as Hubud at your service. Ubud is well inland, so if hitting the beach while staying on Bali is one of your goals there are also a number of other co-working spaces on the island to consider using. Berlin is the top digital nomad destination in Europe, and for good reason. 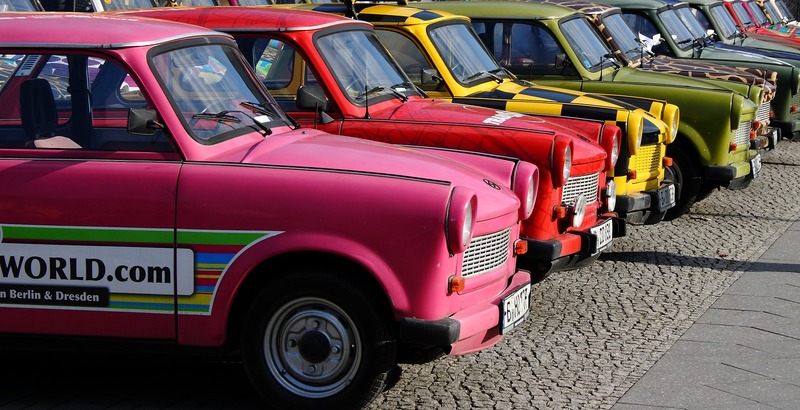 For starters, Berlin offers great value. It is much cheaper than other major European cities such as London or Paris. Students, artists, musicians, and aspiring entrepreneurs of all sorts are attracted to this city full of museums, galleries, cafes, and nightclubs. With so many startups and freelancers flocking to the city, a large number of co-working spaces have popped up in Berlin over the past few years. So you'll have many choices of where to buckle down and get stuff done, make connections, and collaborate on projects. Ho Chi Minh City—also known by its old name, Saigon—is everything you'd expect in a thriving Southeast Asian metropolis. 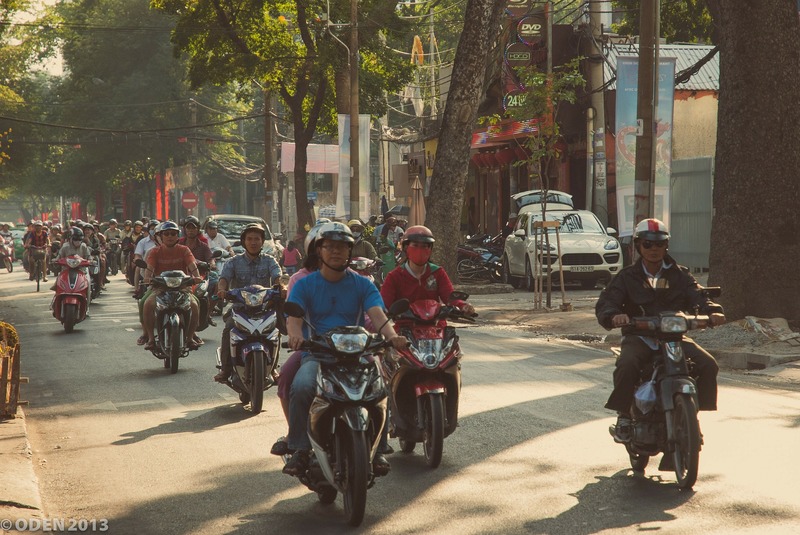 The streets can become virtual rivers of motorbikes during the busiest times. It seems that everyone is on the go, even the fruit seller with a push cart wearing a conical bamboo hat. For nomads, the city offers very affordable housing, reliable internet, great street food, and a busy nightlife. Vietnam's population is very young and forward thinking, wishing to put the horrors of the war behind them. A number of great co-working spaces have sprouted in Ho Chi Minh City to fill the needs of both digital nomads and local entrepreneurs working on their newest startup. One such place, WORK Saigon, is the ideal environment to dive into creating your business. And if you ever need a short break, beach towns such as Mui Ne are just a few hours away by bus, making the perfect weekend getaway. Eastern Europe is a very attractive region for digital nomads due to the low cost of living. The Hungarian capital, Budapest, also boasts a rich history, beautiful architecture, and exciting nightlife. The city really comes alive during the summer months, which makes it a great option during the time of year when most of Southeast Asia is hit by monsoon. High speed WiFi is readily available all over the city, and co-working spaces such as KAPTAR provide the right environment to get serious work done while surrounding yourself with a supportive community. Medellin, Colombia is the top nomad destination in South America. It has a lot of the same things that make Chiang Mai so popular—warm weather, beautiful mountains, and friendly locals. But the city also has a violent past from when it was the stronghold of drug lord Pablo Escobar in the 1980s. 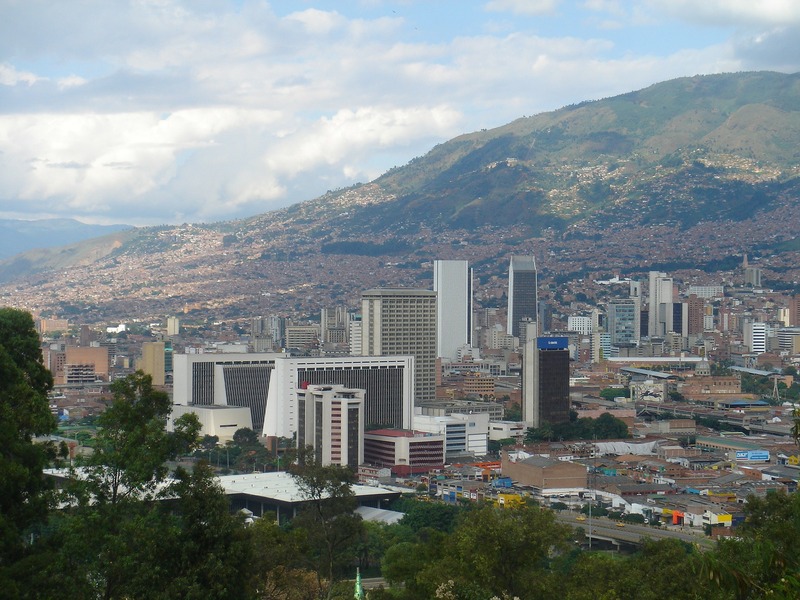 In the past two decades, however, Medellin has seen a turn around in its fortunes and is now considered one of the most innovative cities in South America. Over half a million citizens a day use the Metro train system, which is also combined with three Metrocable cable car lines to extend public transportation to the surrounding hills. Medellin has many features that attract a stream of nomads. First is the cheap cost of living, which is about on par with Southeast Asian cities. At an elevation of 1500m above sea level, Medellin is warm year-round without suffering from the intense tropical heat typical of the equatorial region. For single men the dating scene can be a big draw. Colombian women are known for their beauty, with Miss Colombia winning the Miss Universe pageant in 2014 and winning runner-up in 2015's famously botched crowning. For co-working spaces, Atom House is a good place to start. Colombia also shares the same timezone as Chicago, making it an ideal base of operations if you have to work with US based clients in realtime. Cape Town is another city with a reputation for violence, but it can be much safer than you'd think. It has largely been off the digital nomad radar thus far, but that is soon to change. For starters, sandwiched between Table Mountains and the Atlantic Ocean, Cape Town has one of the most spectacular settings of any major city. 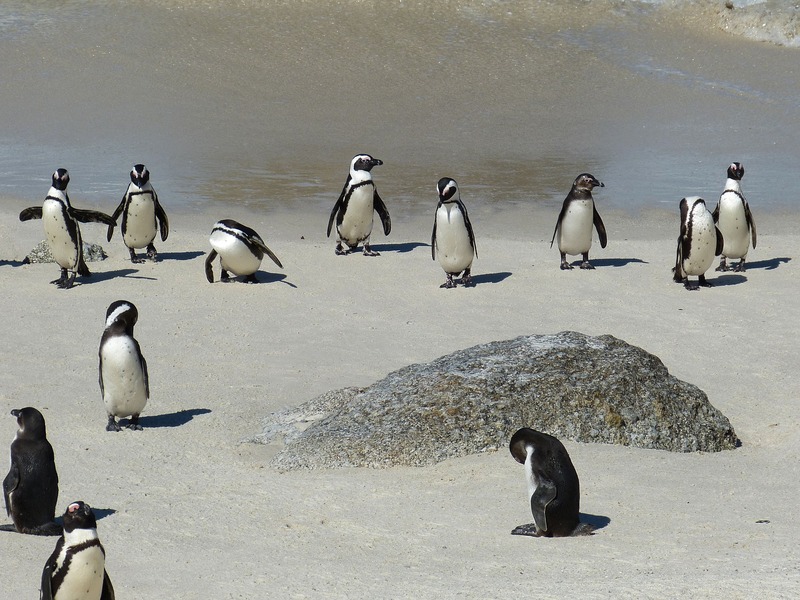 And where else in the world can you share a white sand beach with a flock of penguins? Wine-tasting, whale watching, rock climbing, and surfing are just a few of the other activities you can enjoy during your stay. A 90-day tourist visa on arrival is convenient for a stay of a few months—just perfect for escaping from the Northern Hemisphere's winter. South Africa is also ideally situated to conduct work in the same timezone as European clients. If you're looking for a co-working space in Cape Town, you can try out, Cape Town Garage. There are many others arriving on the scene as well. Prague is another hip destination in Eastern Europe. 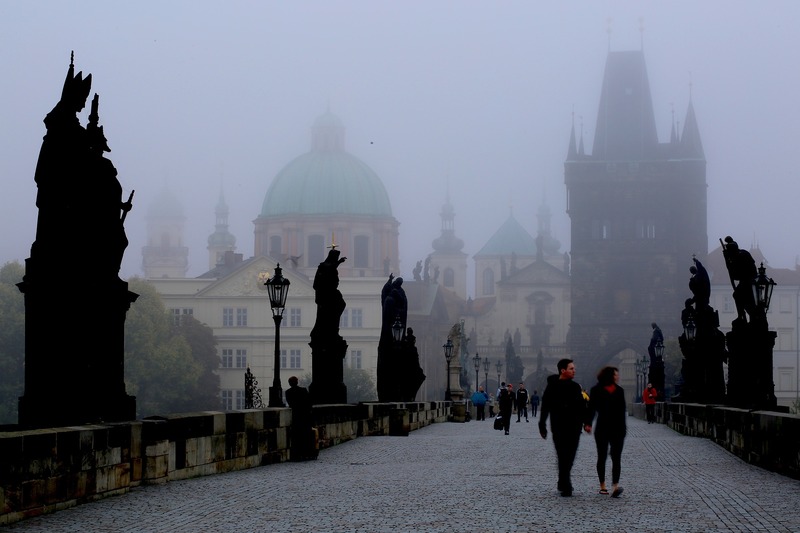 The Gothic architecture found throughout the Czech capital makes it one of the most beautiful cities in the world, putting it high up on the list of must-see locations for world travelers. The cost of living is in the same neighborhood as Budapest, and Prague shares a similar Old World charm. 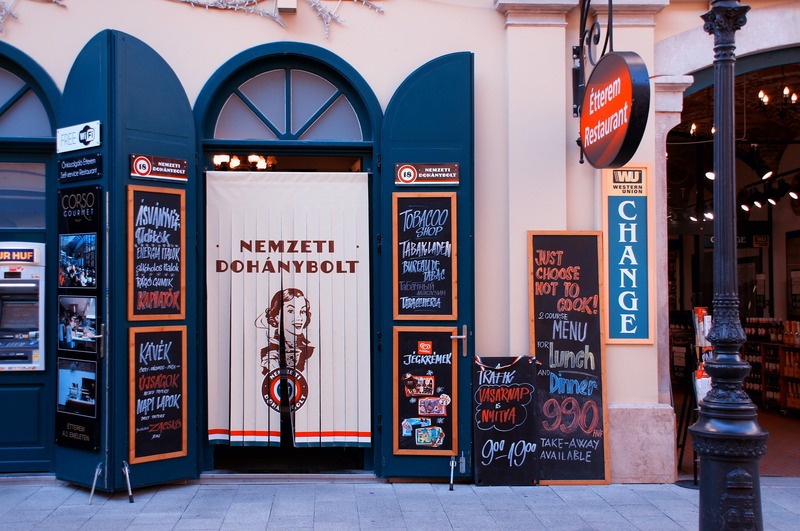 When not hustling in the digital world you can get lost in a maze of cobblestone lanes, seeking out new cafes and small local bars. Beer enthusiasts will no doubt love the huge selection of local Czech beers available. Every year in May, for 17 days the city is host to the Czech Beer Festival, featuring about 120 different beers. With all the nomads flocking to this Bohemian treasure, there are plenty of co-working spaces that have arrived on the scene. Locus Workspace and Impact Hub are just two for you to consider. Cambodia has gained a lot of traction in recent years with expats looking for an alternative to Thailand in Southeast Asia. The ease of getting a long-term visa is one of the big advantages to basing yourself in the country. 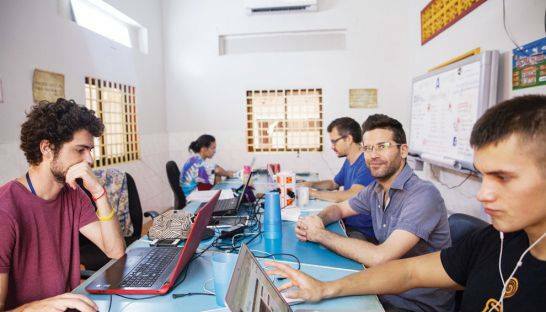 As Cambodia continues to develop and emerge from the shadow of its bloody past its popularity as a destination for entrepreneurs and digital nomads will only increase. Siem Reap in particular has seen a large improvement in infrastructure over the past decade due to the tourist draw of the nearby Angkor Wat temple ruins. The city is full of restaurants and cafes that dish out free WiFi. For getting down to business, AngkorHUB is both a co-working and co-living space where you can not only get stuff done but also get to know other individuals on a similar life path as yourself. 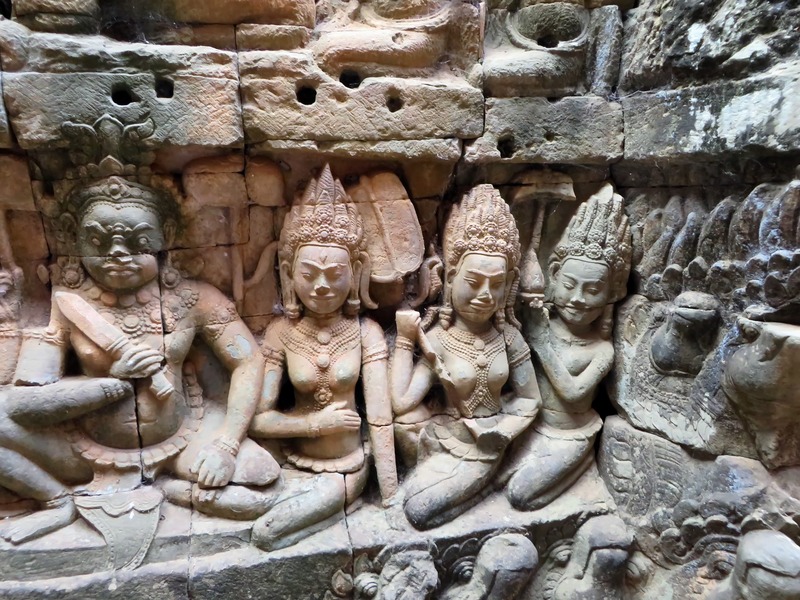 When not working, a visit to one of the more out-of-the-way temples, such as the intricately carved Banteay Srei, can give you a boost of inspiration. Meanwhile, the constant flow of fresh tourists to Siem Reap guarantees that the nightlife is never dull.